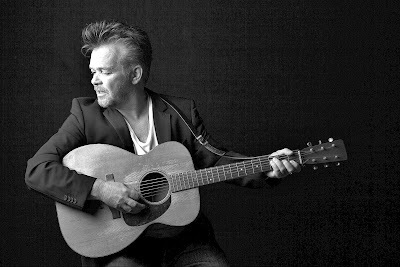 John Mellencamp is among the artists set to be inducted into the 2018 Songwriters Hall Of Fame during a June 14 event at the Marriott Marquis Hotel in New York City. The Indiana rocker will be honored alongside Bill Anderson, Robert “Kool” Bell, Ronald Bell, George Brown & James “JT” Taylor p/k/a “Kool & The Gang,” Steve Dorff, Jermaine Dupri, Alan Jackson and Allee Willis. The singer/songwriter has scored more than 20 US Top 40 hits, including "Jack And Diane" and "Small Town" to "R.O.C.K. In The U.S.A.," "Pink Houses" and "Jackie Brown." Mellencamp, Willie Nelson and Neil Young launched the annual Farm Aid benefit concerts in 1985; to date, the organization has raised more than $50 million to promote a strong and resilient American family farm system of agriculture. Inducted into the Rock And Roll Hall Of Fame in 2008, Mellencamp’s latest release is 2017’s “Sad Clowns & Hillbillies”, which peaked at No. 11 on the US Billboard 200. “Plain Spoken: From The Chicago Theater”, a new documentary capturing the singer in a fall 2016 concert in support of his 2014 set, “Plain Spoken”, is now available for streaming via Netflix.